Last week, I wrote that my PC building adventure would lead to a three-part series on Kotaku, unless something went horribly wrong. Well, my friends, it may not shock you to hear that something went horribly wrong. On Friday afternoon, all of my parts in hand, I ripped open my sleek new case and started getting ready to build a computer. I’d watched some NewEgg videos and read some instructions online, and with a handful of guides open in my browser (and Kirk available via text) I felt prepared enough to get started. The process was satisfying and exhilarating, like building an ultra-fragile, super-expensive LEGO set. I refused to wear a jacket or socks and grounded myself every few minutes just in case, and I did my best to meticulously follow every instruction manual I could find. Trying to fit the cooler on top of the case, as the instructions told me, then freaking out because it blocked the RAM, only to be informed by Twitterers that I could in fact just mount it to the front. Spending at least a half hour trying to jam in the video card, only to realize that I had removed the wrong two back-panels and had misaligned it. 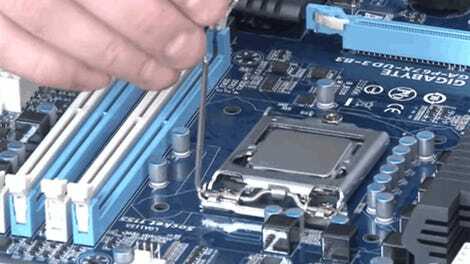 Discovering that if you don’t have tiny hands, it can be very hard to screw an M2 SSD into your motherboard. Realizing that the ASUS Prime 270K manual is truly horrendous, especially when it comes to telling you how to properly install RAM. Learning the true horror of every PC builder — figuring out which little pin goes with the power switch. Being so entranced by the work that I forgot to eat dinner or drink water for a solid five hours. For the next two hours I unplugged and plugged everything, assuming that I had missed a step or accidentally left one of the cables too loose. Still, my computer wouldn’t turn on. The fans wouldn’t even start. The only indication that this expensive new machine was actually using electricity was the orange light on my motherboard and a “click” sound I’d hear when I pressed the power button (or shorted the power button pins with a screwdriver). The motherboard’s aesthetic orange lights would turn on, but not much else. On Saturday morning, I went into debugging mode, going through just about every guide on the internet in an attempt to diagnose the problem. (This checklist was particularly thorough.) I took the motherboard out of the case and “breadboarded” it, trying to get it started on a cardboard box, but again nothing worked. I posted on Twitter, Reddit, and computer gaming forums, only to be met by suggestions that I try doing all of the things I’d already tried. By the end of these diagnostics, I was pretty sure that either my hand-me-down motherboard or brand new PSU was dead. On Saturday afternoon I Facetimed with Kirk, so he could look at my machine and see if I was missing something obvious, and after talking it through, I decided to go to a nearby PC repair shop. On Sunday morning, I lugged my PC to a store two blocks away, stressing the entire time that I had somehow dislodged and destroyed my video card or something like that. The guy at the store told me that they’d diagnose the machine for free, but if it turned out to be human error—if I had missed a plug, for example—he’d charge me $100 plus tax. Fine, I said. AHA! After briefly raging at Corsair for sending me a dead unit, I realized that this was, in fact, good news. Now I know what the problem is. Swapping in a new PSU should be simple and easy, and I’ve ordered a new Corsair 750 RMX (replacing the dead Corsair CM650) that is supposed to arrive on Thursday. 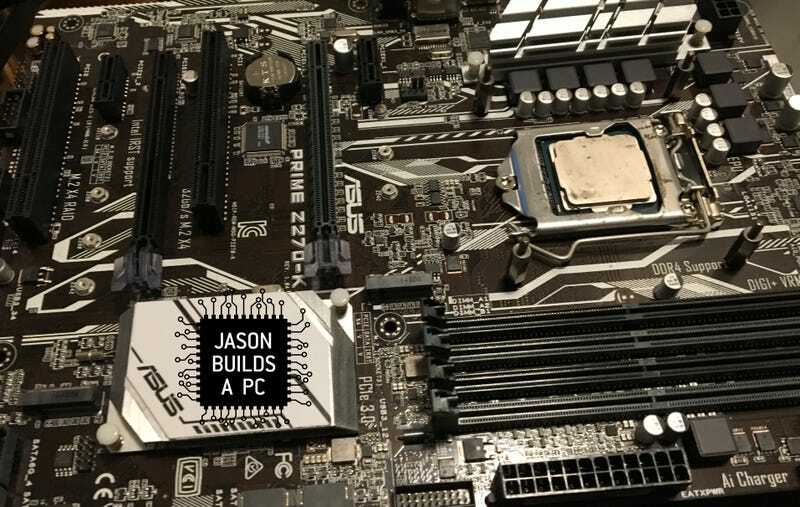 At the end of this story, you may think: Jesus Christ, why would anyone ever build a PC? There are a thousand variables and any of them could go wrong in a thousand different ways, and it can take hours and hours off your life just to figure out what happened. But here’s my takeaway: I’m so glad I did it. Stay tuned for part three, in which I put in my new PSU and see if I can get this thing to actually turn on.